Souper Bowl of Caring is a national nonprofit based in Houston that uses the enthusiasm and energy from the Super Bowl to help those in need. During the Super Bowl season, there are churches, students, grocery stores, scouts and individuals in all 50 states who donate to local food banks and food pantries. One SBS student, Johnathan Gooden ‘20, gave his time and efforts to attend Texas Youth Advisory Board Meetings, serve as a spokesperson for the media, provide ideas to the Souper Bowl of Caring Board of Directors and act as a youth ambassador at events. 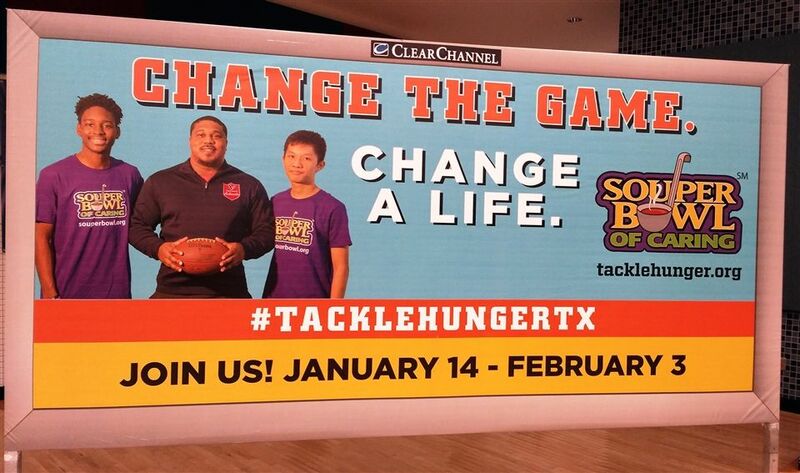 In addition, Johnathan can be seen on billboards across Houston with Steve Slaton, a former Houston Texan. The Texas Youth Advisory Board serves to connect Souper Bowl of Caring to our next generation of leaders and to maintain the mission to be a "youth-led movement." We are proud of you for the impact you are making on the Houston community, Johnathan! Click here for more information on the Souper Bowl of Caring.